The Cardinals softball team will open its 20th season in 2019, and its first under head coach Holly Aprile this weekend when they travel to Fullerton, California, for the Titan Classic. On Friday, February 9, UofL will take on Idaho State at 4 p.m. (ET) with host, Cal State Fullerton, at 8:30 p.m. 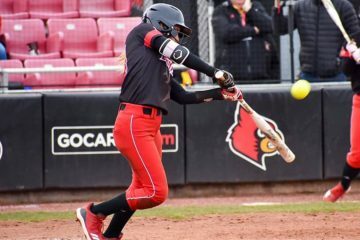 Tournament action will continue on Saturday when the Cards face Buffalo at 1 p.m. and Northwestern at 3:30 p.m. Louisville will wrap up the weekend with a Sunday matchup against Utah State at 12:30 p.m. (all times Eastern). The Cardinals were picked to finish third in the ACC’s Atlantic Division and fifth overall as voted on by the league’s 12 head coaches. Louisville returns 14 letterwinners and six starters as well as five pitchers. Louisville also welcomes the addition of six freshmen to the 2019 roster. 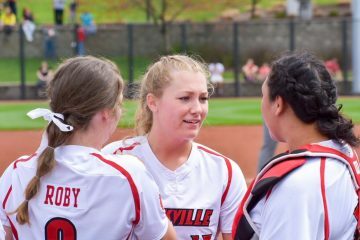 The Cardinals finished the season with a 33-20 overall record and reached the quarterfinals of the ACC Championship before falling 7-4 to eventual national champion Florida State. Seniors Megan Hensley and Sidney Melton were selected to the 2019 Preseason All-ACC Team. Among the returners are National Fastpitch Coaches Association (NFCA) All-Region selections junior Caitlin Ferguson and Hensley as well as all-ACC honoree Melton and sophomore Maddy Newman, who earned 2018 all-ACC freshman team honors. Junior Celene Funke also returns after leading the team with a .355 batting average along with sophomore Danielle Watson who posted 14 wins in the circle during her freshman campaign. Prior to her arrival at Louisville, Aprile, 2018 ACC Coach of the Year spent 10 seasons (2009-18) as Pittsburgh’s head coach and five years (2004-08) as an assistant. In 2018, she earned ACC Coach of the Year honors after leading the Panthers to the 2018 ACC Coastal Division title and a runner-up finish in the conference tournament. The Cardinals are embarking on a tough 2019 schedule which includes a total of 17 games against teams that qualified for the 2018 NCAA Tournament – including national champion Florida State. 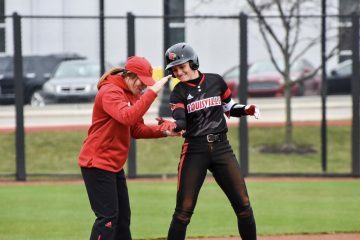 UofL will also face five opponents ranked among the preseason top 25 and four receiving votes in the ESPN.com/USA Softball and USA Today/NFCA polls. • Louisville’s preseason-ranked opponents include No. 1/3 Florida State, No. 8/8 Tennessee, No. 13/15 Kentucky, No. 17/17 Auburn and No. 19/14 Michigan. Notre Dame, Northwestern, Cal State Fullerton and Missouri are all receiving votes. 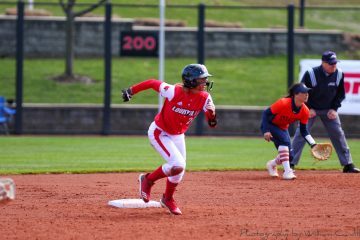 The Cards will open their home schedule the weekend of March 1 when they welcome Indiana State, Missouri & IUPUI to Ulmer Stadium. You can follow me all season long on Twitter @darylfoust4 for live updates, quotes and pre/post game material. Let’s get the Aprile era started!!! Go Cards! !